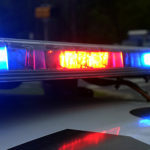 Use of force among Montgomery County police increased 3.6 percent in 2018, according to a report compiled by police and released Tuesday. Police reported 542 total incidents, representing 0.25 percent of nearly 220,000 calls for service and 2.9 percent of 18,592 arrests, according to the report. Three incidents resulted in the loss of life. 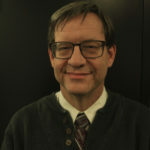 In a letter at the start of the report, Chief Tom Manger says the three incidents are “unfortunate” but the department’s policies and procedures are based on U.S. Supreme Court decisions. “Each incident in which force is used is documented in a Use of Force Report is reviewed by a supervisor, a police commander, and an Assistant Chief,” Manger wrote. One deadly force incident involved Robert White, a man walking down a Silver Spring street on June 11, 2018, who was stopped by Officer Anand Badjugar. An altercation ensued, which led to Badjugar shooting White. 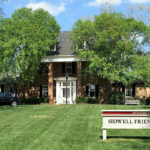 Evidence in the case was delivered to the Howard County state’s attorney, following an agreement between Howard and Montgomery. Howard County found no reason to charge Badjugar. The Internal Affairs Division of Montgomery County police is investigating Badjugar. Manger now is reviewing the case, a police spokesman said. 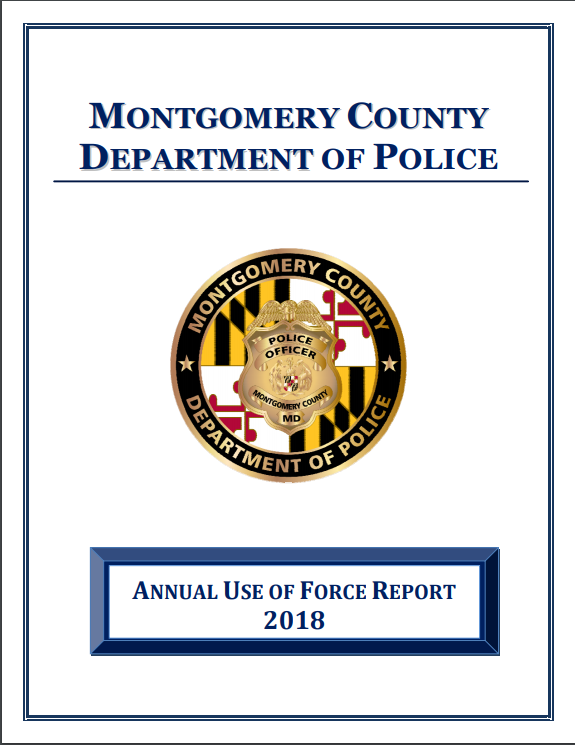 The Annual Use of Force Report, released by the Montgomery County Police Department was another reminder that we have work to do to ensure justice is administered fairly and that all residents are safe. 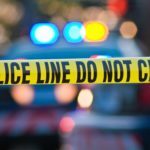 The number of subjects involved in use of force incidents in Montgomery County are disproportionately people of color, 73%, with African Americans making up 55% of all use of force incidents, an increase from last year. It’s also worth noting that of the hate crimes motivated by race, 66.7% were considered anti-black. These data points taken together exemplifies the trend related to outcomes for African Americans. The report also shows an increase in the use of electronic control weapons (Tasers), from 33 in 2017 to 45 in 2018. Across the police department, 412 officers are authorized to carry the weapons, the report says. The bias incidents report, mentioned by Jawando, also showed a 24 percent decline, from 123 in 2017 to 93 in 2018. You can find the bias report here. A report on police pursuits also showed a decline, at 25.5 percent, from 55 in 2017 to 41 in 2018. You can find the pursuit report here.